A guest post about the Creative Process from Daniel A. Rabuzzi, author of The Choir Boats (#1) and The Indigo Pheasant (#2). 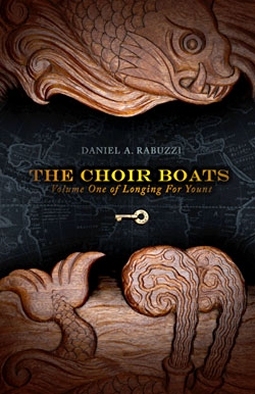 The first in Daniel Rabuzzi’s Longing for Yount young adult fantasy series - The Choir Boats, was released in Fall 2009. 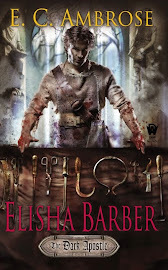 It received excellent reviews from SF/F bloggers, as well as critics. The second book, The Indigo Pheasant, the series conclusion, is scheduled to be released in a few days. Both are published by ChiZine Publications. 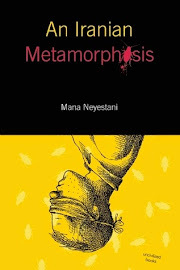 In honor of this newest book’s release we have the pleasure of reading about the thoughts and creative processes of its author, where below, he tells us about his in-depth, intriguing and helpful workings while creating his novels. So, let’s welcome him! 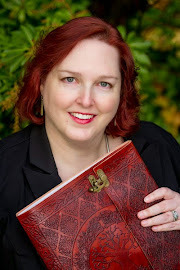 Thank you Shellie for inviting me to post at Layers of Thought. I will describe my creative process, not as a “how to” but hoping to spark responses from the Layers of Thought audience, so that we learn from one another. Each of us creates in a unique way; I am fascinated by the infinite variety of means and methods. I am an “imagist,” rather than a “plotter.” My stories build out from images and scraps of words, with little structure or end-point in mind at the outset. I do not have a story that needs words, I have words that need stories. Before the words even, I have images. I start with the small, the idiosyncratic, the particular. (In graduate school for history, I was dubbed one of the “truffle hunters,” as distinct from our opposite numbers known as “balloonists”). Colors come before the composition, the line before the fleshed-out thing. 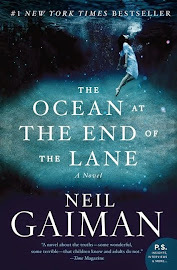 Characters arrive on the scene seemingly without any pre-determination by their author: one early morning or sometimes just past midnight, a character announces her- or himself, and that’s that. And my task thereafter is to make the plot-lines and motivations work to suit the new set of facts. Sometimes it happens that characters exit the story altogether, as if they had never existed, just as expeditiously as others appear... all based on the pictures that my mind finds on the top shelves of the pantry and at the back of the cupboards, usually as I sleep. Then comes the deliciously desperate scramble to capture the image, to fasten it in words to a piece of paper. (If I can offer any advice to novice writers, perhaps it is to keep by your bed a notebook, or even better a sketch pad, and many pens and pencils, to be at hand when you fall out of the night-kitchen). Treasure the notebooks and sketchpads, they are the feedstock for all that comes next. So, I am an imagist. My way of writing could be termed “internal ekphrasis,” as I describe and explore the pictures that my night-kitchen produces. (My deep love of still life painting is surely both a precondition for and an outcome of my process of creative writing.) I follow Gerald Manley Hopkins on the inscape of a thing (and the instress that allows us to perceive the inscape wholly and truly), I agree with Wassily Kandinsky and Paul Klee on the spirituality of the image. As Klee said, “The picture has no particular purpose. It only has the purpose of making us happy.” Happy not necessarily as in unscathed or uninformed by pain, but satisfied that we know the meaning of a thing, or at least its story. Again, my only advice will be to stay alert to the pictures that may form in your mind, and to get them on paper as soon as they appear. Use whatever you have, if you are caught without a proper sketchbook. I am known at work for scribbling and sketching in the middle of otherwise strenuously earnest business gatherings: griffins and manticores cavorting across budget statements, snippets of fantastical prose hanging from the minutes of board meetings. Dry cleaner’s bills, napkins, envelopes...they will all do. Just grab the image, nail the floating words to something solid. Store these for later use. The word “hobbit” reportedly popped into Tolkien’s mind one dull summer afternoon in the 1920s while he was grading exams (Tolkien wrote the opening line of The Hobbit directly onto a student’s exam book). He did not know what a hobbit was then, but knew he had to find out. Sometimes the wait will be long. For example, one November evening in 1979, these words came to me, pretty much fully formed: “On the sway-back slopes above the shore unreachable grew sugar-trees with arak berries/ sailors sighed over their half-gummed hard-tack.” I still am no closer to knowing where that shore is or who those sailors are, but I have never quit the quest to find out. Eventually the story, with its characters and their wants, its settings and phases of the moon (if your setting in fact has a moon), will emerge from the images. The colors will yield up their secrets, the half-texts will knit themselves into a story. Or maybe not. Don’t discard the stories that run out into the sand. They are most likely part of another tale, one that is still there waiting under the shore, or at the roots of those sugar-trees with their arak berries. Of course, you may not be an imagist. You may be a plotter, a story-boarder. I have immense admiration for those who move from story to language and image, because I do not (probably cannot) write that way. The writers for the great multi-season tele-dramas are to me powerful wizards controlling narrative arc and character motivation in ways as mysterious as they are effective. Watching favorites such as The Wire and The Sopranos, Treme and Battlestar Galactica, and the filmed version of Game of Thrones, I am awed by the precision and eloquence of the script writers. Thank you again Shellie for allowing me to share some insights into my own process. I am eager to hear from others how they approach and execute as they shape stories of the fabulous. (*) I keep thousands of images in folders or bookmarked at websites and in a library full of art books (it helps that my wife, Deborah Mills, is a professional artist). I suppose they must influence the direction of my dreaming...but equally I look at and to them for approximations of what I have already seen in my dreams. Images that resemble the strokes of a Robert Motherwell or a Cy Twombly, the gunpowder swirls of a Cai Guo-Qiang, the bars and patches of a Joan Mitchell, float and limber across my nightscapes. Luminous veils of color immerse me, like the soft but inexorable pull of a painting by Mark Rothko or by Helen Frankenthaler; I skid along placid chromatic geometries that I think Richard Diebenkorn would have favored. Sometimes vaguely biomorphic shapes emerge within the color, creating vistas that could be painted by a William Baziotes, an Antoni Tapies or an Yves Tanguy. Sometimes shapes and line are paramount, monochromatic or very subtly shaded solids, ordered like a sculpture by Louise Nevelson or by Leonardo Drew. The Choir Boats (#1) September 2009; Chizine Publications; 406 pages. 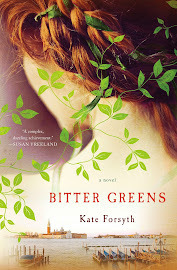 Read an excerpt from The Choir Boats. 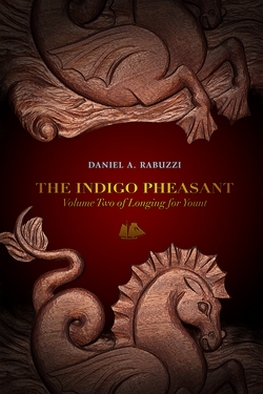 The Indigo Pheasant (#2) October 2012; Chizine Publications; 350 pages. Read an excerpt from The Indigo Pheasant. Bio: Daniel A. Rabuzzi has an educational background in folklore and mythology, as well as a doctorate in 18th-century history. Once upon a time he was a Banker, but now he writes novels, poetry, short fiction, and scholarly articles on a variety of subjects. Daniel lives with his wife – artist Deborah A. Mills (pictured above and the artist who provided the carvings for the cover art for Daniel’s books.) They live in New York City with their two cats. To find out more about and to connect with the author: Website; Facebook Page; Blog; Goodreads; and Twitter. And for more about artist Deborah Mills, link to her website. The Choir Boats (Longing for Yount #1.) 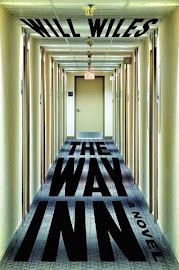 In ebook format so it’s international! The giveaway will be posted at the end of October. 3 Sets of Printed Cards created by Deborah Mills for 3 lucky winners in November! They will be signed by the artist. Thank you Daniel! What a pleasure it was to read, and share with our readers, your creative process! Friends and readers please tell us about yours. I have to wonder if you also write poetry. Your writing voice, at least here, reminds me of poetry. As an artist (and writer) I can relate to your process. I often "see" things when I'm out for a walk or in town which spark scenes, moments in time I feel compelled to put on paper, not always on canvas. An image can be a powerful message. Thank you for sharing! Ironically, I've had The Choir Boats on my To Read list for some time. I even have the ebook, but I'm often swimming in books to read. However, now I feel more compelled to move to the top!